Pooleys offers you the most up-to-date plates available for the United Kingdom and the near continent. The Pooleys plates come geo-referenced for additional accuracy. 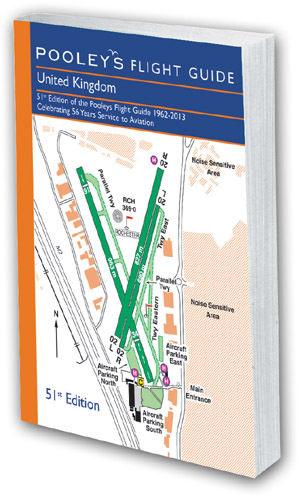 With over 50 years of experience, Pooleys is the generic name for accurate, up-to-date airfield information. Note: This product is sold as a year-long subscription which is separate to your SkyDemon subscription. If you purchase today, documents from this product will be available to you until 20 April 2020 assuming you have a valid SkyDemon subscription for the duration of that time.